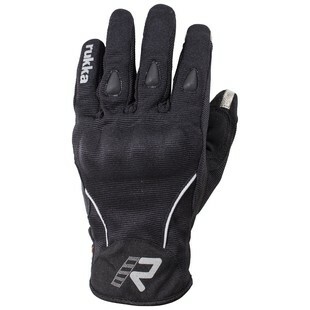 New this spring from Rukka are the Rukka Airium Gloves. These new short cuff gloves are the perfect winter glove for the rider who is looking for comfort without having to sacrifice control. These rugged and stylish gloves merge the best of performance, comfort and style. The Airium Gloves are constructed from an elastic and breathable material and feature extra grip in the palm and fingertips, and touch screen compatible fingertips for the use of touch screen devices. In the safety department, the Rukka Airium Gloves are packing knuckle, scaphoid and finger protection. If you are looking for a premium set of cold weather gloves that offer excellent protection from the elements and road, look no further than the Rukka Airium Gloves.